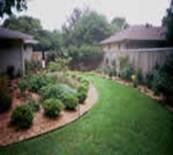 Lawn Tech Landscaping - Landscaping Charlotte North Carolina for over 20 years. SIMPLY STATED, A company will not exist for 20 years if it does not possess those attributes. We are easy to work with and we DO WHAT WE SAY WE WILL DO! We PROMISE to listen to your needs, including budget and do our very best to meet them all.